The M-22 Shops began with two brothers who grew up on the Mission Pennisula and loved northern Michigan and kiteboarding. They returned to the Leelanau Peninsula and opened a kiteboarding shop. 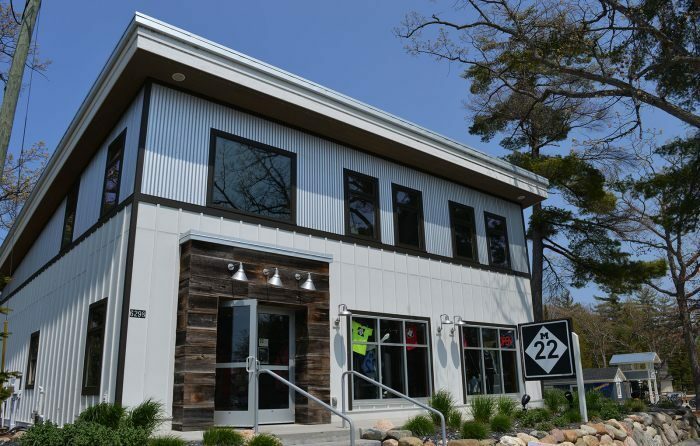 It began as a run-down, hole-in-the-wall building the size of a closet but along the way it grew into a pair of shops that sell and promote the lifestyle that is M-22, including kiteboarding on uncrowded beaches. Sunday through Saturday: 9 a.m. - 5:30 p.m.